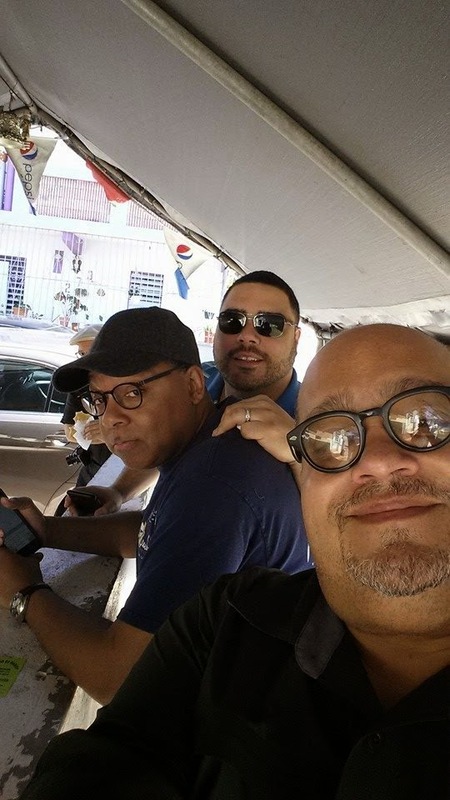 Wynton Marsalis y la JLCO ya pasaron por Puerto Rico dentro de la Gira por las Américas que también lo traerá por Perú. A continuación algunas fotos, videos y un anotas (en inglés) escritas por el propio Marsalis en su página de FB. We left snowy, blustery New York City for a 4-hour flight to San Juan, Puerto Rico. We landed not just in another time zone, but on another planet: palm trees, radiant sunshine, thermal breeze and the communal festivity of island life. Trumpeter and educator par excellence, Charlie Sepulveda, met us at the airport. He has been a friend of mine for over twenty-five years. (I still remember the san cocho he made for me when he lived in El Barrio in NYC). 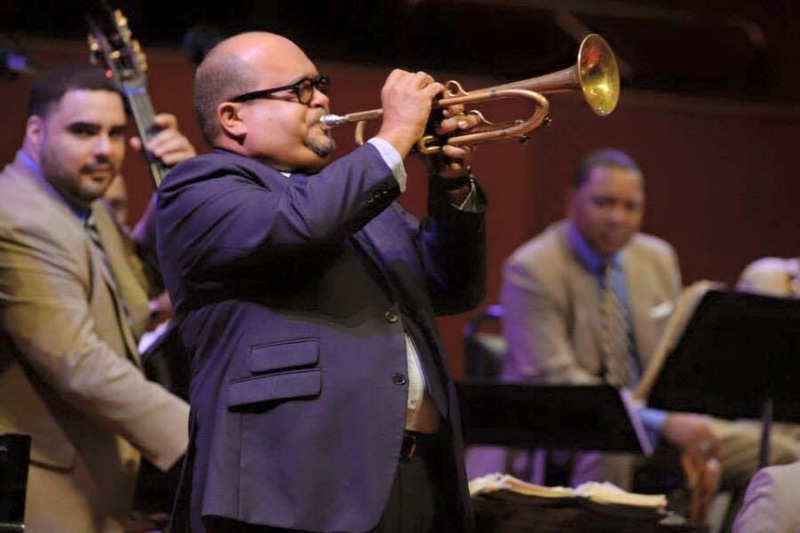 Now, he is in Puerto Rico with his wife, Julia Piñero and their 19 year old daughter Carmen, holding things down and making the world softer for Jazz and Afro-Latin Music. The first night Charlie took us about 40 minutes from San Juan to Luquillo, Puerto Rico. Nicknamed El Capital del Sol, this city is located on the edge of the Rainforest Yunque. We were fêted at Terruño, a place that features nightly music. The food was so good, you wanted to get a job in the restaurant. We began discussing after-dinner drinks and Charlie intimated several times that he and Julia had some grappa at home only 5 minutes away. Soon, we were there inspecting the outdoor grill and studying the contents of his well manicured bar. Because he was responsible for driving us back to the hotel in San Juan and because Julia was promoting this concert, she threatened execution if he even thought about participating. We, however, were forced to be gracious guests and, though reluctant, relieved him of a generous portion of that potent grappa (as he observed in quiet frustration). The next day, we were in it. Vincent's flight had been cancelled which necessitated moving our rehearsal back three hours from 10:30 to 1:30. Julia informed us that 300 students would be coming from all over Puerto Rico to observe our open 10:30 rehearsal. Carlos, Dan, Ali, Walter volunteered to join me in conducting a morning masterclass, and then, handle the 6-hours of rehearsal afterwards. The students were engaging and engaged. They asked a lot of questions. A memorable one was addressed to Walter from a young saxophonist who asked, "What does it mean to play with soul?" Walter in essence said, "It means that you recognize your connection to other people and feel free to share the deepest parts of your humanity with them." 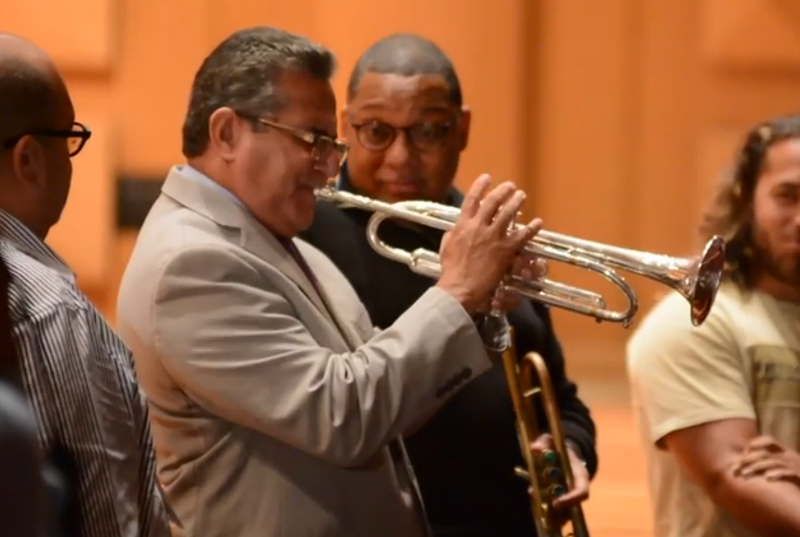 Wynton Marsalis sorprendido ante la ejecución de Luis Perico Ortiz en "Caravan"
Another student asked me, "What can I do to stay inspired?" Because I had been talking I said are you sure you want to ask the question to me. His response was: "Actually I'm a bass player. I'd rather ask Carlos." Carlos used his own life as an example and gave the youngster a real practical path to pursue excellence. Then Charlie and the great Luis Perico Ortiz pulled out their trumpets and we had a jam session with about 12 bold and creative students. We played "Caravan" written by Duke Ellington and Puerto Rican valve trombonist Juan Tizol. The session was festive and familial. After the class, Vincent arrived and the Orchestra rehearsed some 14 pieces. Later that evening, Charlie and Julia took us to El Jibarito for dinner in Old San Juan. It was packed and for good reason. They served good down-home fare that made me miss the Crescent City. Today, Sherman Irby conducted a masterclass at El Conservatorio de Musica of Puerto Rico, working with the Jazz Band conducted by a dynamic young teacher named Elias Santos Selpa. They were playing some of Mingus' music. Sherman talked about playing in balance, maintaining intensity when alternating between the swing and that between the swing and the Afro-Latin 6/8, playing ensemble parts together, listening to soloists, and understanding the underlying structural logic of tunes. In speaking to the young drummer, he had one magnificent quote that remains in mind: "Play the cymbal, don't hit it." That's good life philosophy. Tonight, we performed at Sala Sinfónica Pablo Casals, named for the visionary humanist and genius of the cello. The concert was a benefit to raise scholarship money for underprivileged students to attend Colegio de San Ignacio Loyola. We started the first half with Duke's Big Fat Alice's Blues which Chris Crenshaw had just transcribed because we were talking about it and listening to it before a gig the other night, and we ended with Vincent's arrangement of Oscar Peterson's "March Fast." On the second half, we really got loose. Carlos introduced his own "2/3's Adventure" in Spanish. None of us, except for Walter had any idea what he was saying. But the audience loved him and everything he said. Whenever he talks about his experiences in the music I feel proud and we love playing his music. Charlie Sepulvida sat in on the guajira section and it was a sterling moment of communication and collaboration. He has played with so many greats from Dizzy to Eddie Palmieri, we were honored to share the bandstand with him. Then the saxophone section showed us all how it was supposed to be done on my arrangement of "Ugly Beauty." It was all nuance and wispy fire, and the rhythm section was not to be be left behind. The audience knew that they had heard something special and responded accordingly. We ended the concert with Victor Goines' Second Line, "Down by the Bayou." It always leaves everyone in a better mood. For an encore, Carlos had sketched out a song that touches everyone in San Juan. "En Mi Viejo San Juan," written by Noel Estrada. It moved the people to sing not the melody, but the counter-melody. It was revelatory. Now we're back where we started. Dan Israel and Charlie and I seated at a table surveying tastes of grappa and an impending flight in 6 hours....... You all know I love that. Oswaldo Ponte: "El Otro Yo del Sonero"